Marcus Dewhurst starts with an admission. England under-17 coach Steven Cooper: Tim Goode/PA Wire. Dewhurst has no need to worry. Nor, for that matter, does his chaperone from the England under-17’s media team. The Sheffield United goalkeeper, who will tomorrow try and help Steven Cooper’s squad reach the final of UEFA’s European Championships, handles questions the same way he does shots; coolly, calmly and with impressive ease. 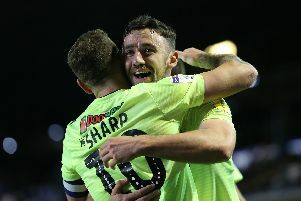 Chris Wilder, Dewhurst’s manager at Sheffield United, will enthusiastically agree having argued midway through last season that young players who get comfortable make slow, if any, progress. Which probably explains why the teenager can call himself an international only three years after pulling on his first pair of gloves. Dewhurst, who enrolled on the Steelphalt Academy youth programme following a spell with his hometown club Hull City, was an aspiring young striker before concluding he was better suited to life between the posts. It proved an inspired decision and one which, after recently signing his first professional contract, could also deliver a starting place against the Netherlands at Chesterfield’s Proact Stadium. England, who advanced through the group stage following wins over Israel and Italy, set up their meeting with Kees Van Wonderen’s side by beating Norway on Sunday. Despite the competition’s prestige, Dewhurst learned of his involvement without fuss or fanfare. *Tickets for tomorrow’s UEFA U17 Championship semi-final, which kicks-off at 7pm, are priced £1.